In my last post, I said that I would have a new logo by the end of the weekend, but it doesn’t look like that is going to happen. I have completed most of it, but decided to knit a background for my i-cord- which meant that I need more time. Above is the picture of the incomplete logo. 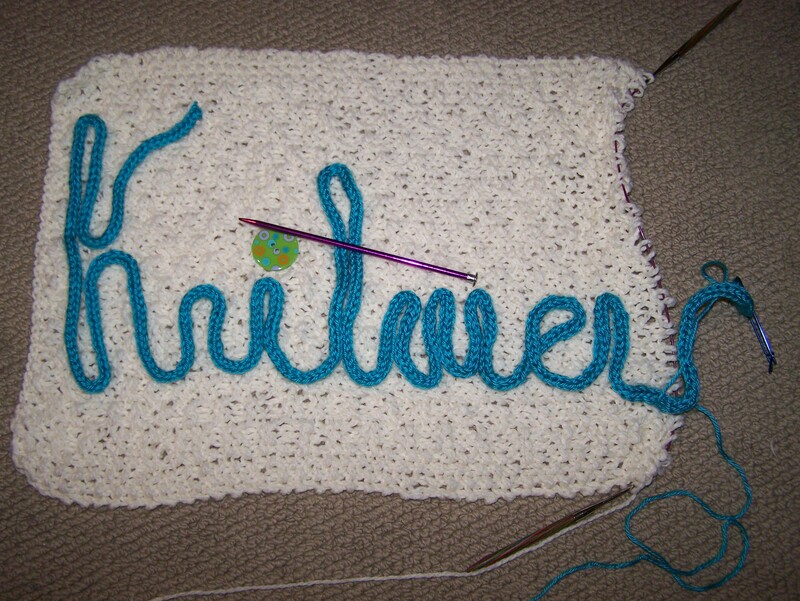 I am knitting an i-cord, which just needs to be a bit longer, on a white knitted background. 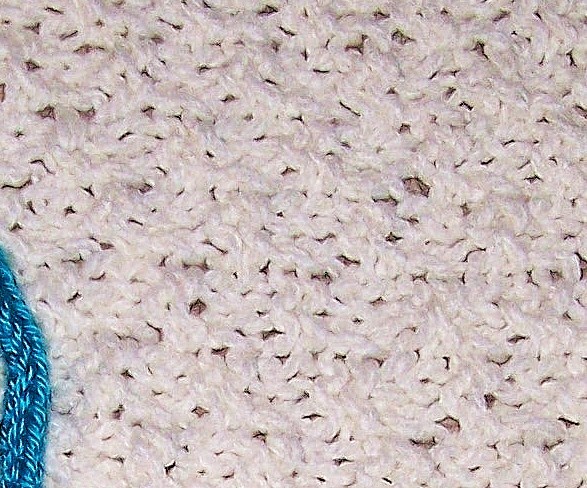 I used a seed stitch border with a double seed stitch middle. Continue this pattern. My picture is not great, but you can see the border is knitted in seed stitch. Continue these four rows till end. 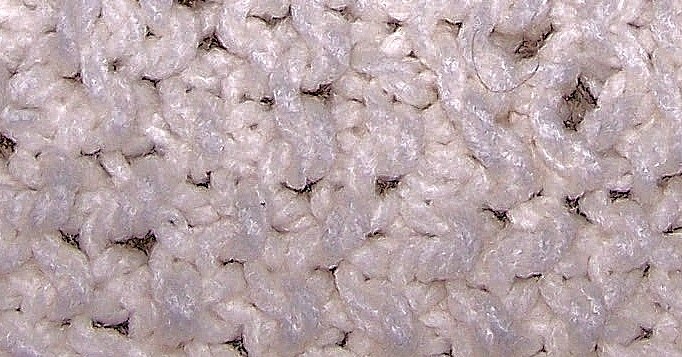 The middle of the work is knitted in double seed stitch. This design is great for placemats, pot holders, bath mats, or other similar square/rectangular objects. It keeps its shape well and is quite versatile. On that note, I have to get a few things together for work tomorrow, finish a few more practice quizzed for my online computer class and work some more on this logo. 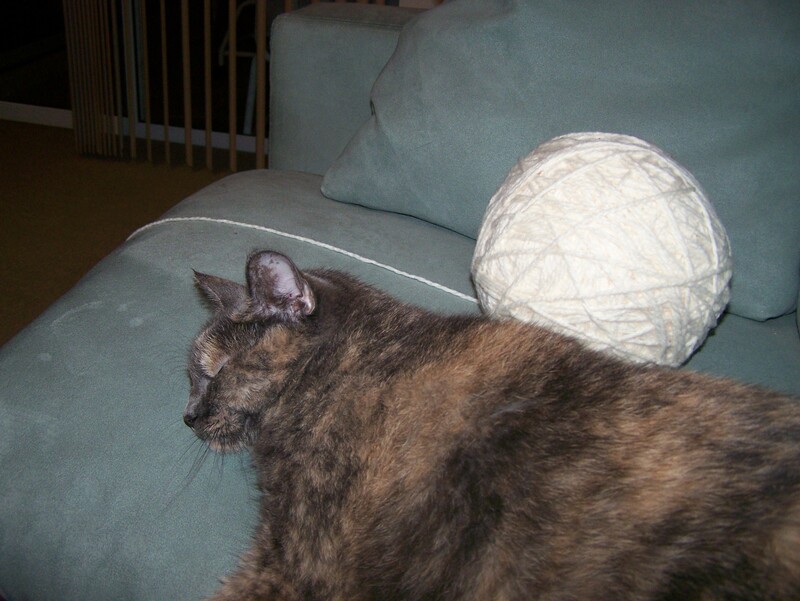 I have a giant ball of white yarn that I bought from Michael’s years ago that I’m using. I have no idea what brand or type it is, just that I wound it up and now it is no longer portable! However, my cats are fascinated with it. Just want to say how impressed I am with your determination. You are multitasking and doing what you say you will do… And yes, life throws out it’s daily obstacles and you keep your head above it all!